The OneMind Dogs agility training method is a Finnish innovation, with the goal to connect the minds of human and dog. We offer successful agility handling techniques based on the natural behavior of dogs, so the dogs do not need to learn: just the handler does! OneMind Dogs handlers spend more time thinking than running. 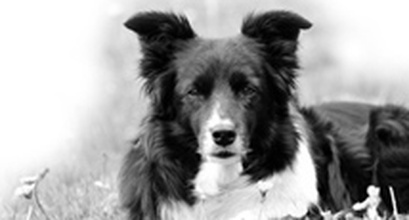 In 2003 Janita had to approach agility training and handling from a totally new perspective when her beloved Border Collie Tekla suddenly lost her hearing. Janita was not willing to give up agility as both of them loved their hobby and Janita was ready to put all her previous knowledge to the test and try everything to get Tekla back to the agility course. After months of observing and learning from Tekla, she started to understand what was going on in a dog’s mind on the agility course, and how to communicate in a way that the dog understands naturally without extra training. Janita realized that her new handling techniques were surprisingly rewarding as the dogs understood them quickly and easy without the traditional learning process. Her hearing dog Cosmo also increased speed on the agility course by up to three seconds with this new method, and it was this unexpected bonus which gave Janita an epiphany; she understood that this was a start to something totally new! The story of OneMind Dogs had begun. 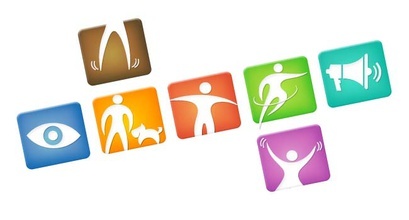 All OneMind Dogs handling techniques include elements of these seven factors to support the dog’s movement on an agility course and make it as easy and effective as possible. The core rule is that the handler should be consistent with the training and never give mixed signals to the dog. OneMind Dogs currently has more than 30 techniques, mainly on how to handle the dog successfully in the agility course. The method is under constant development to improve and create techniques to serve the dogs even better. The individual handling techniques have been clearly named to make it easier to teach our students. This also allows the handler and instructor to discuss the technique online or over the phone with no confusion. Once a handler understands the concept of OneMind Dogs and how to handle the dog with clear and short signals, they will learn the different techniques quite smoothly within a couple of months! Remember we only need to teach the human the different communication techniques; the dog already knows them naturally. Our handlers practice a lot without the dog, to really learn the technique first by themselves and save the dogs from confusion. After the handler has learned the technique well enough, we bring the dog along. Our goal is to reinforce the dog’s self-esteem and show them that we trust them to complete the course successfully and independently. When the handler and dog cooperate smoothly, the handler can communicate the assignment to the dog and let him or her finish it independently; meanwhile the handler can move on to the next task. It is essential that the handler learns the different techniques by heart, so their signals become automatic and the handler can concentrate 100 percent on their dog. Once the handler has learned all the OneMind Dogs techniques, the next step is for each dog and handler to identify the techniques that best suit them as a team. It is like teaching the handlers the alphabet, so that they can then write their own signature! There are not that many things to learn from the different techniques; the goal is to understand how the seven elements help the handlers to practice agility the easiest way - from the dog's point of view. In OneMind Dogs training sessions the handlers spend more time thinking than running. The learning process for dogs is easy and you can train both young and older dogs using this method. Younger dogs need minimal training and they can attain good results after just a couple of years. In fact, five of the OneMind trainers’ dogs have been on the Finnish national team as early as at two years of age, and have had successful agility careers up to 10 years of age. This reflects that OneMind Dogs method is not only safe and dog-friendly, but also successful; the method enables handlers to run high quality clean runs if there are no mental barriers preventing them from success. With the help of our method, the handler does not have to be faster than their dog. The different handling techniques offer tools to handle from a distance, reach critical points more quickly and even to think faster. The faster your dog is compared to you, the greater advantage you get from mastering our techniques. Have a look at the following example of distance work. Link to the video! On the video fast dogs perform agility course at their maximum speed as a slower handler is not holding them back and the dogs are aware of at all times where to go next. OneMind Dogs has followers globally and we want to offer our students insight into our method and share the secrets on how to train and handle agility successfully. In addition, agility handlers can meet and discuss with likeminded people from around the world and enjoy the support of the OneMind Dogs community. For years, our students have wished that they could continue learning with OneMind Dogs online. Finally it’s possible! Together we can change the face of dog agility training. Join us on our journey and be part of it by helping us to develop the story. Follow us on Facebook and subscribe to our newsletter to receive the latest news about us and our adventures! Upgrade your membership to premium! The handler’s movement Her position in relation to the dog Her contact with the dog The direction of the handler’s chest (“the laser point”) The direction of her feet Her hand signals Her verbal commands.